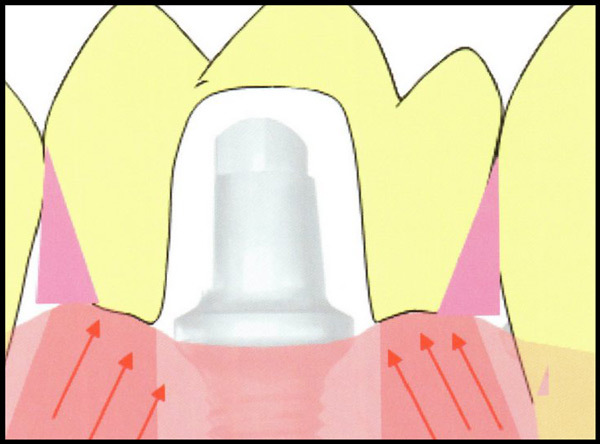 Due to the fact that Zirconia ceramic implants are one-piece implants, the stub over which the future crown will fit is exposed to the oral environment from the day of implantation. In order for osseointegration (fusing with bone) to succeed, there should be absolutely no contact with the stub for the next 4-6 months. Therefore an appliance should be worn which will fit over the implant like a sleeve and protect it from the tongue, from chewing and from other functions. 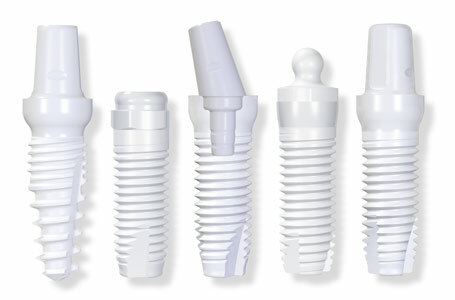 Depending on the position of the implant and the bite situation, different appliances are offered for this purpose. It is always made out of a biocompatible material with absolutely no metals involved. If the implant is in the front (anterior) region a false tooth or a facing can be incorporated in the appliance to blend in with the remaining teeth. 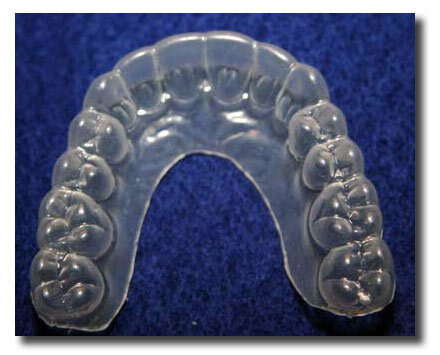 A vacuum-formed essix appliance that is clear and looks just like an invisalign tray or a home whitening tray. An acetal-resin partial which is rigid and has white clasps. Its advantages are that they are not bulky, in some cases can be constructed only on one side, and they do not interfere with the bite. 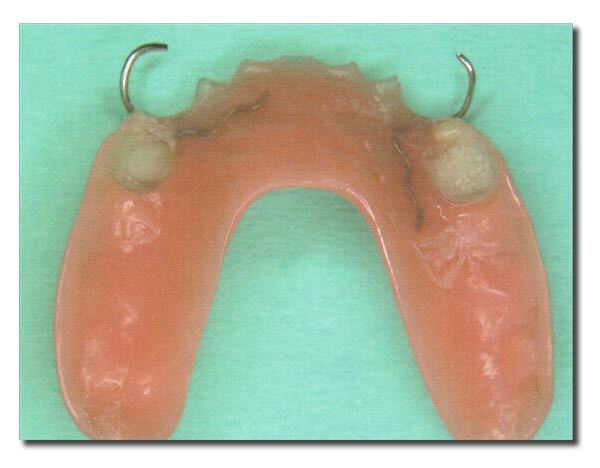 A flexite or valplast partial denture with a clearance built in to fit over the implant and allow for proper chewing. Protective appliances serve the same purpose as the cast in case of a broken bone. When a bone is broken the body heals the break as long as it is given time to accumulate bone material to bond the parts of the break. This is a slow process and the two parts that need to fuse need to stay in a fixed position so that bone can build up layer by layer to reconnect the parts. Any movement would break apart an initially delicate bridge. Similarly, bone grows and attaches to the laser edged surface of the zirconium implant during osseointegration (the bonding of the implant with the jaw bone.) The implant is mechanically already firmly seated, but pressure as it would happen during biting, would ever so slightly move the implant and break a first, delicate bond of implant and bone. A protective appliance created a space around the implant so that chewing actions will not disturb the osseointegration. For multiple implant cases, clearance spaces can be built in under an esthetically pleasing full or partial denture. 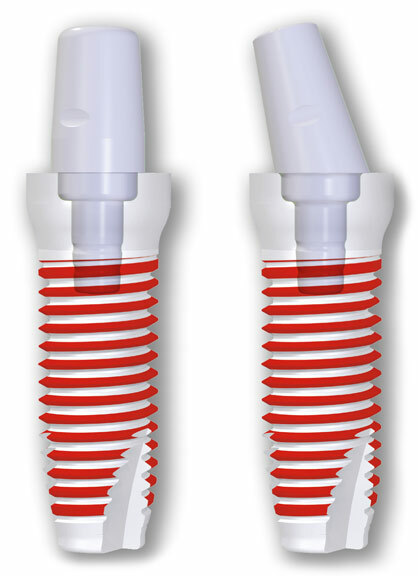 An essix vacuum-formed clear appliance can be relined with tooth-colored acrylic to fit over the implant for cosmetic reasons.